So you shop organic at Ocado, you diligently make 5-a-day a reality in your household, and your kids snack on dried fruit, cereal bars and vitamin-rich juices. But did you know that choosing ‘healthy’ options for your kids can actually have a negative effect on their health? Phrases like ‘natural’ and ‘no added sugar’ aren’t always as clear-cut as they might seem – and while your efforts certainly give kids a boost in terms of fibre and nutrition when compared to the empty calories in a chocolate biscuit, what the labels on your beautifully packaged products are not telling you is the shocking amounts of sugar hiding within. Lack of transparency when it comes to food labelling and marketing is a huge factor in explaining the rise of tooth decay among children today. In choosing ‘healthier’ options for our kids, we’re often unwittingly putting their teeth in danger. Most apple juices, for example, contain more sugar than Coca-Cola. And those bags of yoghurt-coated fruit pieces? More than twice as much sugar as a packet of Haribo! We kid you not – this article offers an excellent visual guide that debunks the healthy claims of certain kids’ snacks. So what can we do to curb the amount of sugar hidden in our children’s diet? Here are some useful tips. 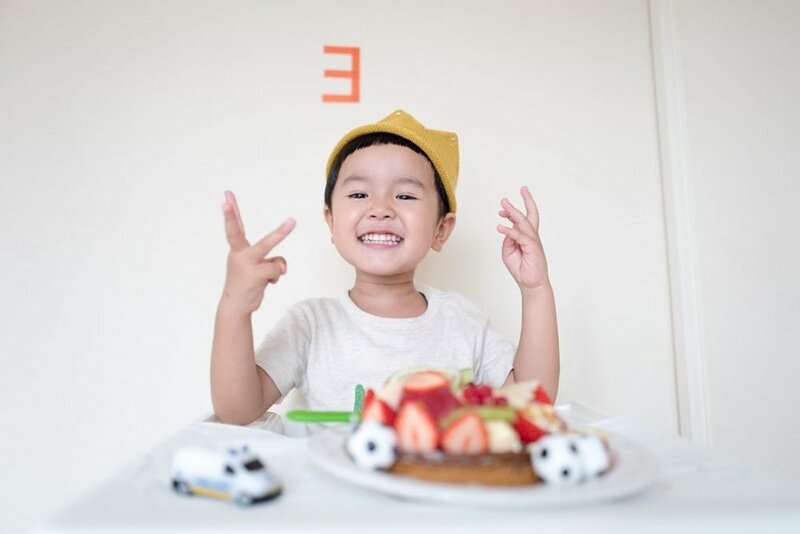 Establish healthy eating habits between the ages of 3 and 5 – it’s the magic development window during which those habits are proven to be more likely to stick – for life. Limit sugary foods and drinks to mealtimes. The less frequently teeth are exposed to sugar, the less vulnerable they’ll be to cavity-causing acid attacks. Plus, we produce more saliva at mealtimes, which helps neutralise acid levels in the mouth. Replace sippy cups and bottles with a cup and straw, which diverts sugary or fruity ingredients away from teeth and gums. Use the Change4Life app in the supermarket to scan product labels – it’ll unscramble the hard-to-read packaging and tell you exactly how much sugar you’re buying. Be cynical about food that’s labelled ‘healthy’, ‘natural’ or with ‘no added sugar’. It’s great marketing, but doesn’t always deliver on its promises – fructose, date syrup, agave and honey all have the same effect on our health as refined sugar, and often appear in greater quantities in ‘healthy’ products. See a paediatric dentist for dedicated children’s dental care. From fluoride varnish to diet and nutritional advice, your children will receive their dental care from a specially trained team that is not only up-to-date with the latest research and techniques, but can talk to your children in a way that entertains, educates and inspires. Happy Kids Dental is a new opening in London that wants to change perceptions about children’s dentistry. It’s the UK’s largest children-only dentist and has an amazing play area – so take your kids for a free tour next time you’re shopping in Marylebone.